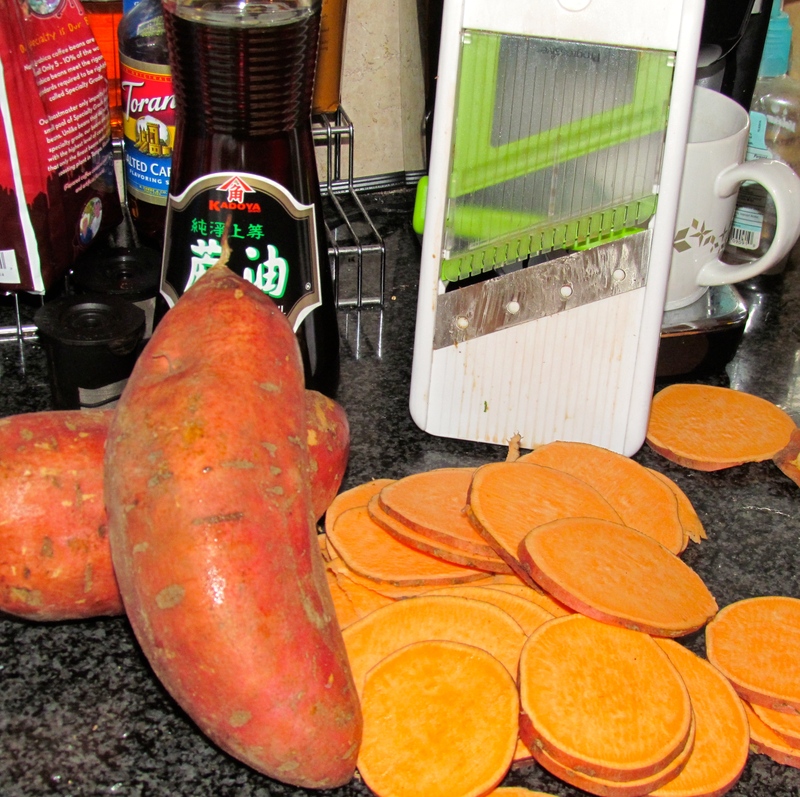 Prepping our early thanksgiving dinner Part I and decided to do something different with the sweet potatoes. So instead of mashing them and adding the cinnamon, cloves, brown sugar, etc…… I decided to slice them and roast them. 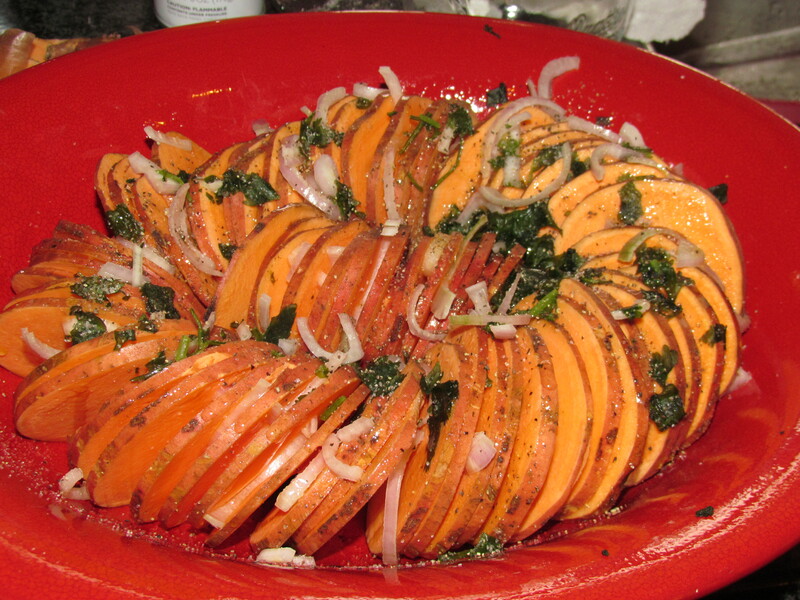 I used a handy mandolin to slice them evenly, then after coating my baking dish with olive oil, I positioned them overlapping all the way around. 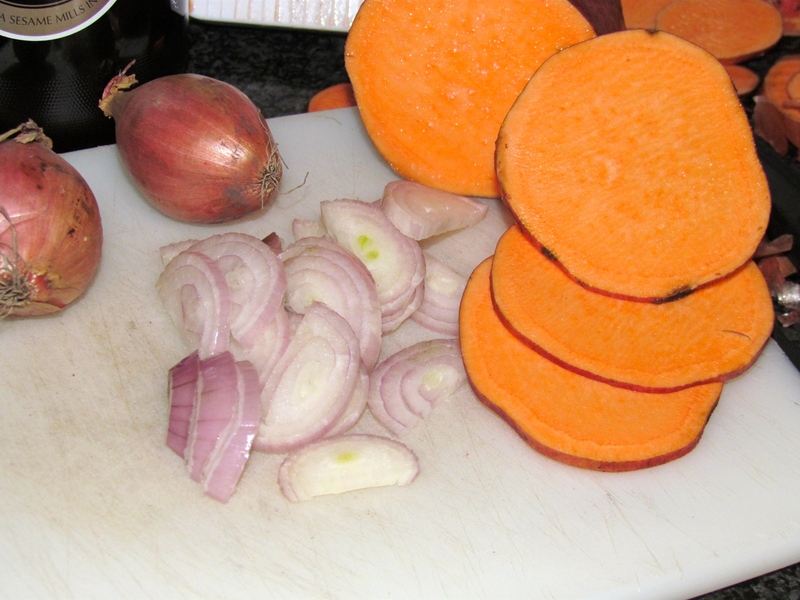 Then I sliced some shallots and chopped some garlic and kind of added them in between every other slice. Added some chopped cilantro, salt and pepper and a little bit of brown sugar. To finish off before going in the oven I drizzled olive oil and melted butter. They are going in a 375 Deg F oven for about 50 minutes covered in foil and then pumping up the heat to 450 Deg F uncovered to crisp them up on top and give them some extra color. Can’t wait to dig in with the family in a couple of hours! Prev Martini or Cheesecake? Why not have both……. ?